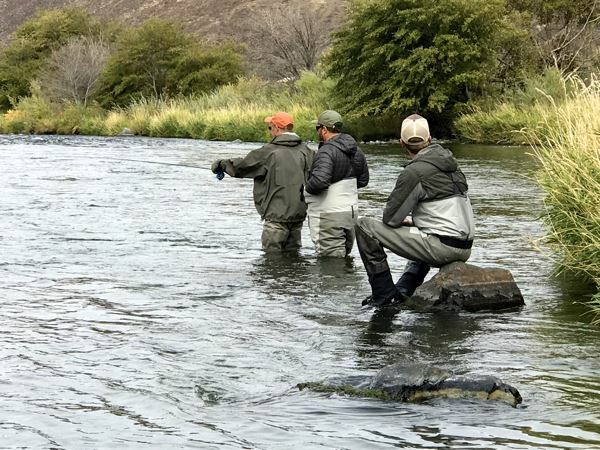 SUNRIVER ANGLERS and THE HOOK FLY SHOP are pleased to offer club members an "Introduction to Fly Fishing" educational outing and fishing event on the Crooked River, May 22, 2019. Anglers will meet at a campground (TBD) on the Crooked River at 9:00am. The Hook will provide a Host to discuss fishing equipment, flies, and tactics and on-the-water instruction and tips. The class will end at 1:00pm. SUNRIVER ANGLERS will provide lunch and hot drinks. Limited to a maximum of 12 anglers. Cost is $45 per person including a tip for the Host and the cost of Lunch. The Hook will present a short overview on Fishing the Crooked River at our May 16 meeting. During the outing, at 9:00am, our Host will go over fishing techniques. Then they will take 6 anglers on the water for more advice and coaching. After 11:00am, the second group will go with the Host and onto the river for their turn at instruction. The first group can continue fishing. Lunch will then be provided and anglers can depart anytime. After lunch you can stay and fish all day, and maybe consider making camping arrangements to extend your stay to fully apply what you've learned.